Since 1999 Camille has lived in Thailand working in the dive industry around Thailand, Indonesia, the Philippines and South Korea and as a result he has built an extensive knowledge of the Thai and South East Asian dive industry. In 2000 Camille started working with Thailand's first PADI 5 Star Career Development Center and was one of their Course Directors since 2003 until early 2010. From early 2010 he worked around Thailand with various PADI 5* IDC Centers and PADI CDC Centers and 5* IDC Centers in Indonesia and the Philippines. Camille has a popular dive blog, where you can follow all the latest news about his IDC's and the various Instructor training courses he conducts all year round plus there's also a wealth of other dive related information available on his blog. Check it out! Camille loves diving and teaching and likes to share his knowledge, experience and passion for diving with you. His blog is just a small part of his enthusiasm he has for both diving and teaching, to bring the best out of you and make teaching courses natural. Camille is originally from the Netherlands and speaks fluent English and German and conversational French besides his native Dutch. 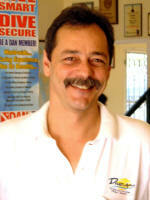 He is a Platinum PADI Course Director since 10 consecutive years running, since PADI Asia Pacific introduced this rating. He has conducted over 130 IDC programs as a Course Director since 2003 and he has taught more than 500 IDC candidates with a very high passing rate plus he taught more than 1600 Instructor Specialty courses and over 600 Instructor level courses on various other levels such as IDCS, EFRI, EFR Care for Children and DAN O2. He can teach more than 20 Instructor Specialties, including Nitrox Specialty Instructor. He is also a Recreational Side Mount Instructor Trainer, DSAT Gas Blender Instructor Trainer, EFR IT, EFR Care for Children Instructor Trainer and a PADI Emergency Oxygen provider Instructor Trainer. There are also other PADI Course Directors who gained experience as IDCS Instructors by working with Camille during his IDC's before they became PADI Course Directors themselves, including Craig Allery in Hong Kong, Ernst van der Poll first in Dubai in the United Arab Emirates and now in Costa Rica, Jean-François Joly in Canada, Chris Azab in Sharm el-Sheik in Egypt, Imad Khashfeh in the United Arab Emirates, Christophe Condé in the Seychelles, Sue Gibbins in the Philippines, Richard Reardon, Sander Buis and Joeri van Hal in Indonesia, Kevin Black, Il-Do Kim and Paul Meredith in Thailand and Allen Rivera in South Korea. Imad and Joeri completed their IDC and IDCS course with Camille and Richard, Il-Do and Paul completed their IDCS course with Camille. Camille has received the PADI Instructor Development Award in 2009, to better recognize the achievements of those PADI Dive Centres and Resorts who have made significant contributions to the growth and development of diving, he has received multiple 'Certifications of Recognition for Excellence' from PADI and in 2013 and 2014 he was also an Elite PADI Instructor. Camille taught an IDC on Malapascua in the Philippines which coincided with the first ever PADI IE on Malapascua being conducted. Camille has taught the first ever Western PADI IDC in South Korea in July 2011 and a second ever Western PADI IDC in South Korea in July-August 2014. Benno has been living and diving in Phuket since 1996. 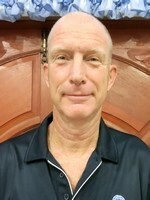 His previous teaching experience includes a position as a PADI Instructor at the Morale, Welfare and Recreation (MWR) office on Clark Airbase in the Philippines; Adventure Scuba in Broomfield Colorado USA; DACOR Dive Center in Berlin and Tauchcenter Delphin in Landshut, Germany; and as the General Manager of the El Shady Dive Center in Hurgahda, Egypt. His experience as Manager of Office Operations for one of the largest PADI 5 Star CDC Centers in South-East Asia will provide you with firsthand information concerning the dive industry in the new millennium. EFR/CFC Instructor Trainer, Enriched Air NITROX Instructor Trainer, PADI Rebreather Instructor Trainer (Draeger Dolphin & Ray), PADI Oxygen First Aid Instructor Trainer, Specialty Instructor Trainer for Diver Propulsion Vehicle (U/W Scooter), Wreck, Deep, Night, U/W Navigation, U/W Naturalist, Search & Recovery, Drift, Equipment, Boat, Dry, Altitude and Multilevel.